I finally watched That Sugar Film. I’ve been tossing up on watching this film. You see, I value my Mac so I don’t want to be put in an opportunity to need to throw it against the wall, so I’ve been apprehensive. I know what the anti-sugar campaigners are like, and I just don’t believe that demonising specific nutrients is a positive approach to health. But I finally bit the bullet & thought it was time to see what as the fuss was about. Ironically, it was on Sunday morning when I woke up feeling crappy and I’m fairly sure it’s to do with the Thai feast & Gelato Messina situation from the night before. Although, #noregrets were felt. Anyway, thirty minutes in nothing had surprised me and the entire film was actually quite entertaining. Damon was an engaging and amusing guy. Damon’s mission was to eat 40 teaspoons of sugar per day for 60 days. These sugars had to be hidden sugars in commonly perceived healthy foods and drinks, whether added or naturally occurring. So he popped off to the supermarket and filled his trolley with things like low fat, fruit flavoured yoghurt, iced tea, sultanas, pressed juice, raisin toast, mayo, chutney, health food bars, ready-to-drink breakfast replacements. There was no soft drink, confectionary, chocolate or trips to Gelato Messina. And during these 60 days, his weight increased eight kilograms and his blood results indicated fatty liver disease. Oh sugar. What did I love about That Sugar Film? “Sucrose is the sugar that all the fuss is about. Some say it’s dangerous, while other still have doubt. Sucrose is the Table sugar we have in coffee or tea, she’s the sugar families sweet little daughter, or not, apparently. “Now, this table sugar or sucrose is made up of two sugars 50% glucose, and 50% fructose. Fructose may well be the sugar family’s mischievous son. ∼ Damon did a demonstration of fresh fruit versus juicing, and even mentioned that fabulous word fibre & it’s ability to help keep us full. This was great – I’m often explaining this to clients & it seems that juices are perceived as an essential to good health. A way to getting lots of vitamins and minerals for an array of health benefits, and sneaking in those fruit and vegetables. But why is it so hard to just eat a banana? So do me a favour and next time you put in your apple, carrot, banana, kale, pineapple & coconut water into your nutri bullet, ask yourself if you were to eat those as whole, would you be able to eat it all? ∼ I liked when Damon went inside the body (literally) and talked about the physiology of carbohydrate metabolism in our body. I love the science. I hope that maybe this film and these little in-to-the-body segments show people just what a poor diet can do to the inside and outside of our bodies. ∼ When Damon’s wife said ‘How about he just doesn’t drink Mountain Dew every day’. Moderation folks. And I know as Dietitians we are always saying this, and people believe that maybe this is the issue with our obesity and chronic disease levels but the thing is NOT MANY PEOPLE EAT IN MODERATION. Foods like chocolate, soft drinks, fried foods, baked goods and all those ‘sometimes’ foods have become mainstream & every day foods. And I don’t recall population guidelines or Dietitians recommending this. ever. ∼ And lastly, the fact that the above points were raised and I didn’t feel the need to throw my Mac out the window. ∼ According to the 2011-12 Health Survey, the average Australian adult consumes 26 teaspoons of sugar, not 40. So we are not doing at terrible as we think. ∼ These ‘perceived healthy foods’. When have Big M, nutrigrain tetra packs, iced tea, and frozen yoghurt bars been labelled as healthy? What makes you think that a massive amount of soft serve yoghurt topped with chocolate, syrups and lollies is healthy? Yeah, sure, if you had to choose between chocolate milk and coca cola (because the Australian water supply was non existent), the milk would be the healthier option. But no nutrition professional is telling you to drink these every day. ∼ I didn’t actually seem him eating a lot of food throughout the film. He drank lots of fruit juices and milks and things from pouches. And I didn’t see him eating anything other than perceived healthy foods. No vegetables, whole fruit, whole grains, broccoli, legumes, blueberries, nuts. There was little fibre & protein to keep him full so no wonder he was snacking more often. Plus, this diet he chose to follow was a massive shift from is usual diet so I can imagine he would feel like crap. ∼ He said that he consumed the same amount of calories through the trial as he did prior. But from what I could see his measurements weren’t accurate and he consumed more than the recommended portion size on many occasions, so I’m not sure on this one. ∼ The film focuses on the sugar content of those perceived healthy foods, and not so much on the soft drinks, chocolate, lollies, baked goods and desserts that are mainstream in society. I often find with a lot of my weight management clients, these are the priorities. The teriyaki sauce they use on their stir fry that helps them eat their vegies, or the fruit flavoured yoghurt which is the only one that will get them eating yoghurt are minor issues in the grand scheme of things. ∼ It does seem everyone is still stuck in the low-fat-yoghurt-and-breakfast-cereals-are-full-of-sugar rut from whatever era that was entirely true. Yes, some low fat yoghurts are full of added sugars and we know that coco pops, fruit loops, nutri grain and anything marketed with a cartoon character is full of sugar. But there are good choices available. Have a look at my tips on choosing a breakfast cereal here, pop over to here for a review on yoghurts, or for individualised advice, see an Accredited Practising Dietitian. ∼ This is a one person case study. It’s not definitive. It’s a fabulous way to open up our eyes to just how much processed foods our society is consuming, and we just have to walk around the supermarket and our city streets to see just how easy it is to do this. For those of you that haven’t studied physiology and the way diet effects our body, this single person case study is a great way to show how a poor diet can effect the inside of our body. To reinforce that thin bodies do not always mean healthy bodies. And if like all the Pete Evans’ and Sarah Wilson’s out there, it gets people thinking or switching from processed foods to wholefood paddock to plate goodness, then great. Fantastic. Hooray. Fist pump. I just hope it triggers a need to educate people, our children especially, on the importance of eating a balanced diet, with minimally processed foods. I just hope that it doesn’t send people into a frenzy. I hope that parents don’t become frantic because their child will only eat fruit flavoured yoghurt or they stop allowing tomato sauce on a sausage. (After all, this is Australia and what’s a sausage without sauce?). I just hope that people still realise that it’s not just about sugar, but it’s the massive amounts of highly processed, minimally nutritious food and our total diet as a whole that is contributing to the nation’s obesity crisis. 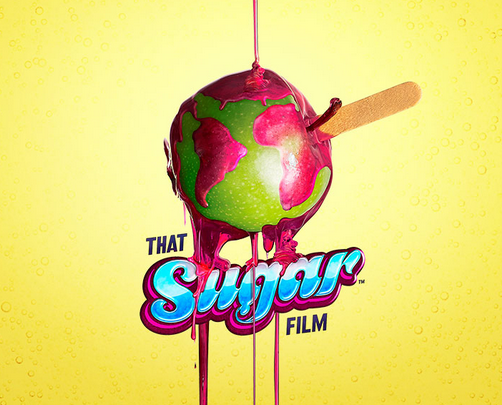 What did you think of That Sugar Film? < A love for Grandma Marie’s date scones. Great review Emma! I agree with your point regarding calorie intake, I’d love to see an analysis of exactly what he ate every day, because I really do question this. Your point regarding how different this diet was from his usual diet is great, you’re right I don’t think there was a single veggie in there. I am saddened to hear almost every second person telling me how bad baked beans are now because they’re so high in sugar (apparently). Poor baked beans… Overall, however I think the film has more positive than negatives, helping the general public realised how much sugar is in processed foods. Wish they’d included a Dietitian in there though! Thanks for your comment lovely Jo! Yes I agree – more positives than negatives, and a dietitian would be great! I’m not overly happy that the lawyer was included. I bought some baked beans a week or so back for Terre Madre in Northcote – they were great! I haven’t seen it yet, but having worked in the health and fitness industry for a decade, struggled with disordered eating for the past 5 or 6 years, and having recently found out that I’m both lactose AND fructose intolerant, you’ve certainly piqued my interest!! Think I may need to get my paws on it and have a look – but totally agree that awareness is so important! We can’t stop bad habits until we’re fully aware at just how bad they are and know where they’re hidden! Thanks for your comment Jess. Do let me know that you think of the film! I watched this yesterday and did so with trepidation too, but thought that nutritionists should watch it so that we at least know the information that everyone else has been exposed to. I think you’ve summed up the pros and cons really well Emma. I too had major issues with calling the foods he was eating ‘healthy’, since I wouldn’t recommend most of them to my clients either. I also agree that the lack of vegetables, fruit and wholegrains would have contributed to his health issues. One last thing was that he wasn’t meeting physical activity guidelines, even though he did remain constant throughout the experiment, and we know that physical activity is very important for protecting against visceral fat buildup. Thanks for your lovely comment Glenda. Very good point re: physical activity. It would be interesting to see what would have happened if he was meeting recommendations!